Wet and cool autumn, cold and long winter has put the honeybees into a dangerous situation. The sun is high like in the spring and warming up the beehive from the outside, but as soon as they fly out, the minus degrees in the air will take them down after a hundred meters or so. But they must fly out, because due to being so long in the hide, all their food resources have been exhausted. 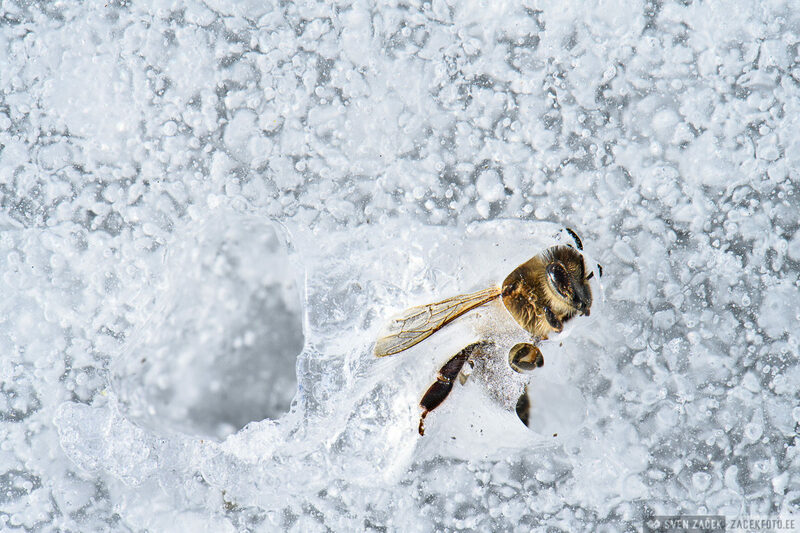 I found hundreds of bees on the pond ice, that had been half melted into the ice because of their dark body. Tough times!